The Supreme Head of the Nyingmapa is a position that was established, primarily for administrative purposes, only while in exile in India. 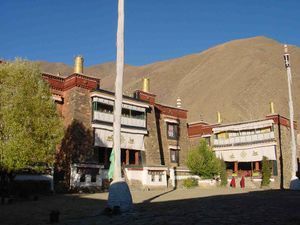 In Tibet no one served as the head of this school. First this title was given by H.H. the XIV Dalai Lama to Dudjom Rinpoche. Then it passed on to Dilgo Khyentse Rinpoche, Penor Rinpoche and in 2001, to Minling Trichen Rinpoche. In 2010 Kyabjé Trulshik Rinpoche accepted the position, and in 2012 the title passed to Taklung Tsetrul Rinpoche.